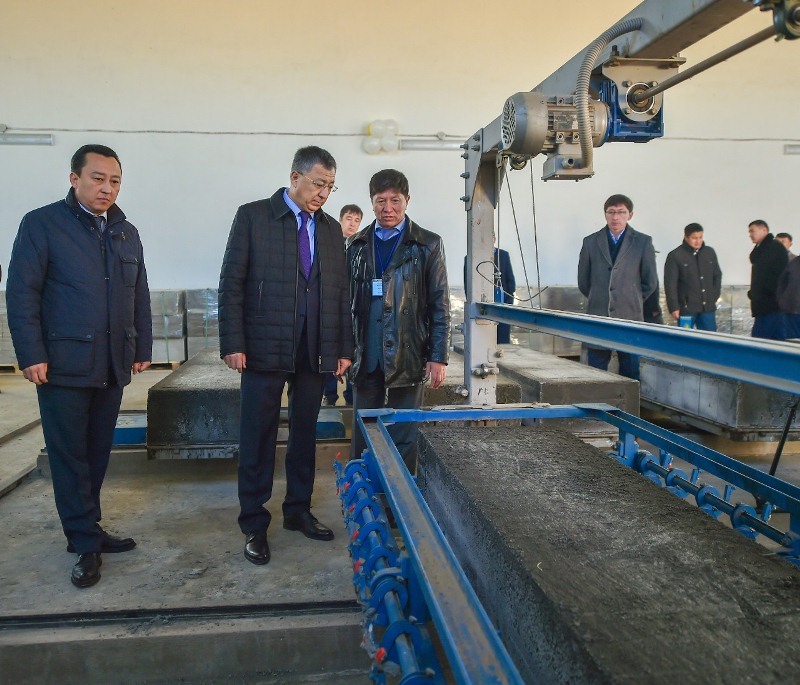 ASTANA – An aerated concrete production plant, which plans to manufacture 12,000 cubic metres or 336,000 units of aerated concrete block annually, has opened in the Kazygurt district, South Kazakhstan region. The project was implemented as part of the industrial-innovative development programme, according to the akimat (regional administration) press service. “The launch of a gas-concrete block production plant is a major event for the district and the region as a whole. The project, worth 120 million tenge (US$365,760), is important for the construction industry. I fully support this initiative. Ten projects totalling seven billion tenge (US$21 million) are currently being implemented in the industrial zone of the district. This will boost economic growth and create new jobs,” said South Kazakhstan region Akim (Governor) Zhanseit Tuimebayev at the plant’s Nov. 20 unveiling. To increase construction efficiency, the block size will be 30 centimetres wide, 40 centimetres high and 60 centimetres long. They will be used to build multi-storey residential buildings and meet international standards due to advanced innovative technologies and high-quality raw materials. Tuimebayev also set the task of developing a manufacturing sector in Shymkent in the areas along the Silk Road and the Western Europe – Western China highway. 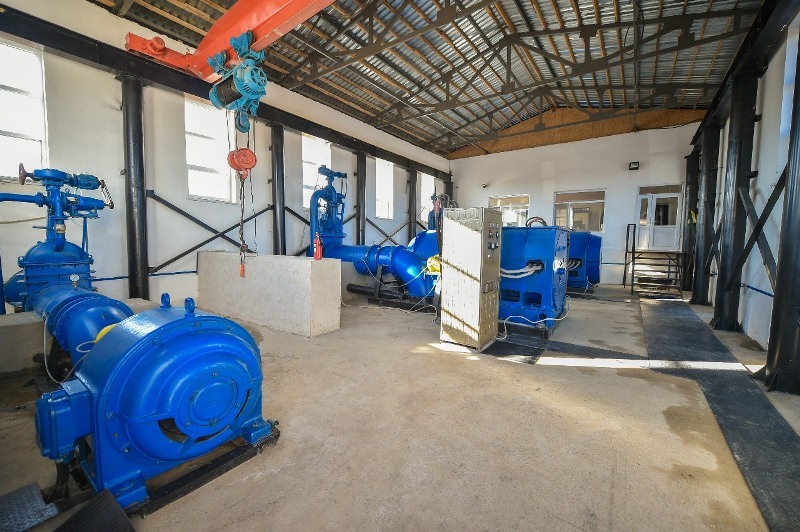 With the support of Greek-based company Soldatos, a small hydroelectric power station with an annual production capacity of 63.2 million kilowatts has also been implemented in the region. The power plant sells electricity for 16.71 tenge (US$0.05) per kilowatt to the local electric company, with the 400 million tenge (US$1.2 million) project covering one-fifth of the district’s electricity needs. An asphalt concrete plant with a capacity of 200 tonnes per hour is expected to open next year in the Maktaaral district industrial zone. That project cost is US$1 million. “The region is located at the intersection of roads connecting Central Asia, the Middle East and Europe. As a result, the export and border trade is developing. Eleven industrial zones and one special economic zone operate in the region. There are regional development institutions that provide services to investors according to the single window principle to attract investment. Institutions advise entrepreneurs and provide financial and infrastructure assistance,” Tuimebayev said. A confectionery plant producing 25-30 tonnes of sweets per year has also been launched. The 80 million tenge (US$243,840) project was initiated as part of the Ontustik Onimderi regional and Business Roadmap 2020 programmes.